Green tea is a popular weight-loss supplement that also improves blood sugar regulation and influences fat cell turnover. While it is not a magic bullet that instantly improves metabolic health, it helps. Kevin Maki from the Provident Clinical Research in Bloomington, Indiana, showed decreases in total abdominal fat, subcutaneous abdominal fat (under the skin) and blood triglycerides (blood fats) in people consuming a green tea beverage containing 625 mg of catechins and 39 mg of caffeine for 12 weeks, compared to a placebo (green tea without catechins or caffeine). The people also did 180 minutes/week of moderate intensity exercise. Caffeine and catechins-particularly epigallocatechan-3-gallate-speed metabolism and fight fat. 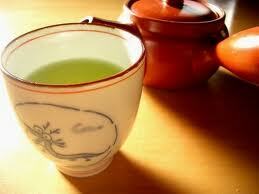 Green tea is an effective fat fighter that completes the effects of exercise. However, some people should use it with caution.